The mission of the Central Texas Annual Conference is to energize and equip local churches so that they can more effectively make disciples of Jesus Christ for the transformation of the world. One of the myriad ways in which the CTC Center for Evangelism & Church Growth (CECG) carries out that mission is by partnering with local churches to explore the best tools available to support church growth – and sometimes that exploration leads down the path of merging. While establishing a New Church Start in any situation is fraught with perils of the unknown, creating a new church out of two already established congregations comes with its own unique set of circumstances, decisions and emotions. Sometimes, the traditions and history of the churches in question are too much for the congregations to overcome and they vote to remain separate. This fact was undoubtedly on the minds of the CECG team when Mt. 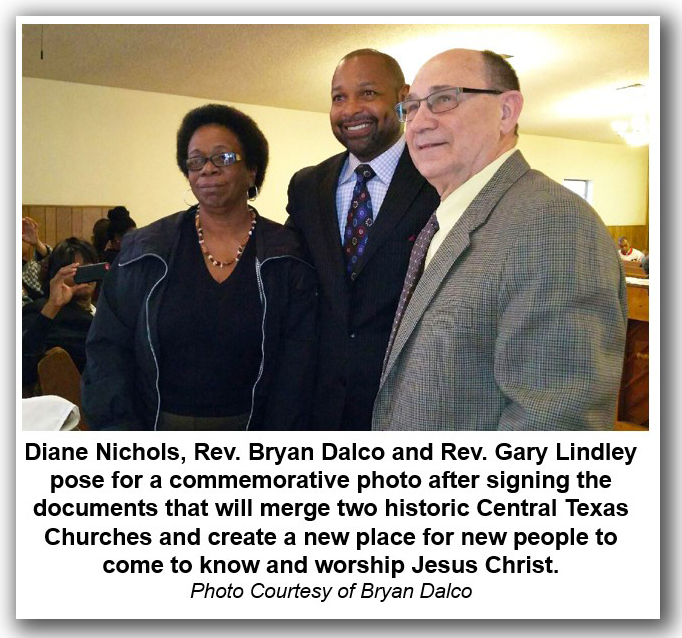 Zion and Bracks Chapel - two Waco area UMC’s established in the mid-1800s – arose as possible merger candidates. Bracks Chapel UMC, was formed in 1876 in what was then the Hog Wallow Community under the guidance of Rev. Anderson Bracks. Sister Patsy Blair offered her home as a meeting place in order to organize the Hog Wallow Methodist Episcopal Church and that ignited a blaze of faith, hope and love permeated in an eternal flame that has continued to light the way in Waco for well more than a century. 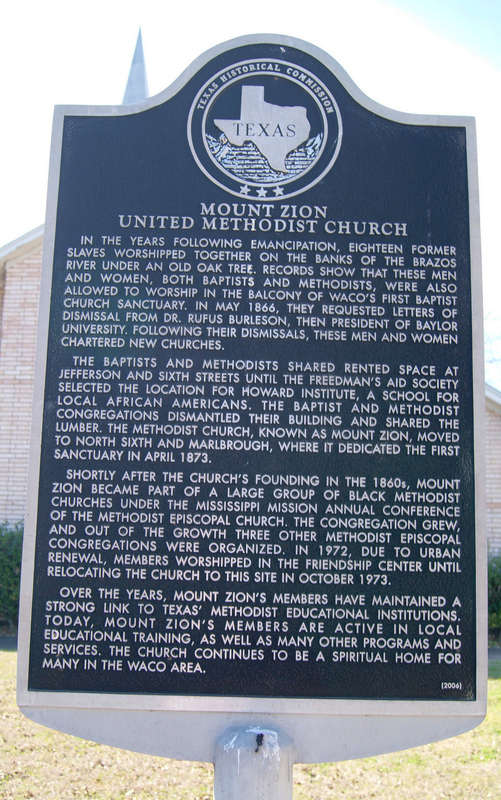 Mt Zion UMC was founded in 1866 as one of the original congregations of the Black Methodist Church. The church’s roots go back to the end of slavery and for 149 years it has had a profound moral, cultural, educational and spiritual effect on the city of Waco. Given such a long, rich past, there was a real risk that the sentimental and historical hill might be too steep of a climb for these two churches when the merger exploration process officially began in July 2014. However, the two congregations were committed to at least exploring the possibilities, so they strapped on their hiking boots and began to faithfully climb into the unknown. For the next several months the churches worked with Rev Gary Lindley, executive director of the Center for Evangelism and Church Growth and Dr. Jerry Roberson, Church Transformation Coach on the merger process. Then, after much prayer, unified worships and joint missional activities, the churches determined that they would be more effective together than apart and they decided to put it to a vote. The 98 percent favorable vote demonstrates the strength and vision of the two historically significant African-American churches and their understanding that we are living in a new day and a new time, where churches have to think in new ways to reach new people in order to offer them Christ. The Center for Evangelism and Church Growth will continue to work with the new church as it prepares for launch later this year. Watch ctcumc.org for details on when that celebration will occur. 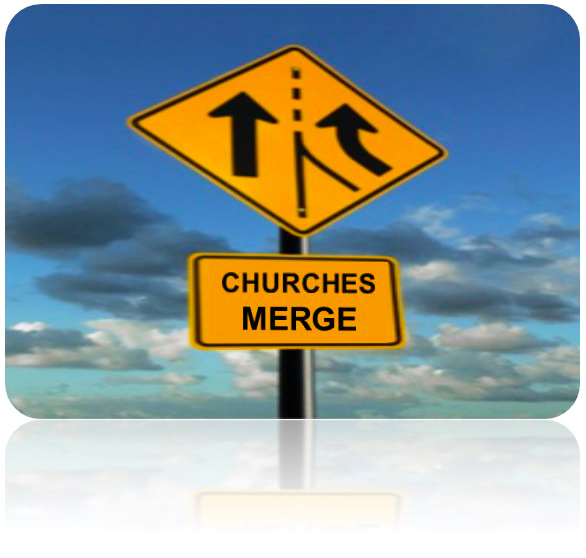 If you think your church might be a candidate for a merger or church revitalization, contact Tammy Lindley at tammylindley@ctcumc.org or 817-877-5222.